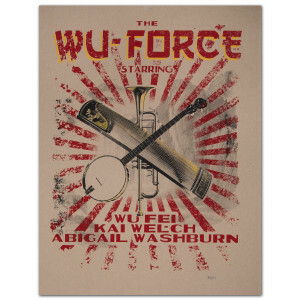 Abigail Washburn Limited Edition Wu-Force Tour Poster. Each poster is hand numbered. A beautiful 12 1/2'' x 16'' poster. It was shipped flat (i.e. not in a tube) and arrived in great condition. WU-FORCE!